And so we come to All Saints. 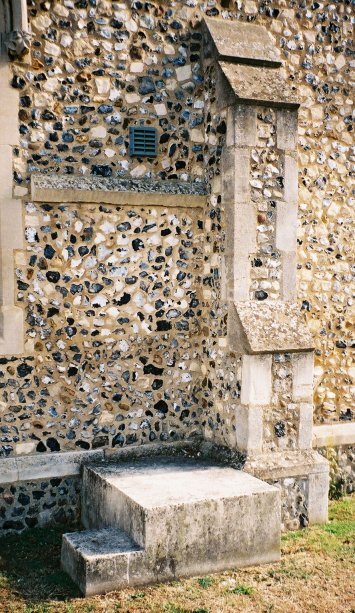 I was taking part in the 2003 Suffolk Historic Churches bike ride, and had already had a false start at nearby St Agnes, which I had found locked, shuttered, barred and bolted. However, St Agnes is out in the suburbs, and I was sure that a town centre church in one of Suffolks most significant towns would be bound to be open, welcoming and taking part. Unfortunately not. Well, its very annoying, but I was told a short while later by the nice lady at St Mary that the number of Anglican churches in Newmarket divided by the number of Anglican parishioners gives a total which isnt much more than not a lot. That may be so, but All Saints appeared a church of evangelical character, and I was under the impression that this is the Church of Englands growth area. The history of this church is quite interesting. Despite being only 50m or so east of Newmarket high street, it serves a parish that was in Cambridgeshire until 1895; so, 108 years earlier and I neednt have bothered. The border used to run down the middle of the high street (the town hall and railway station were both in Cambridgeshire) and there were some interesting disputes involving the separate county police forces on a Saturday night. 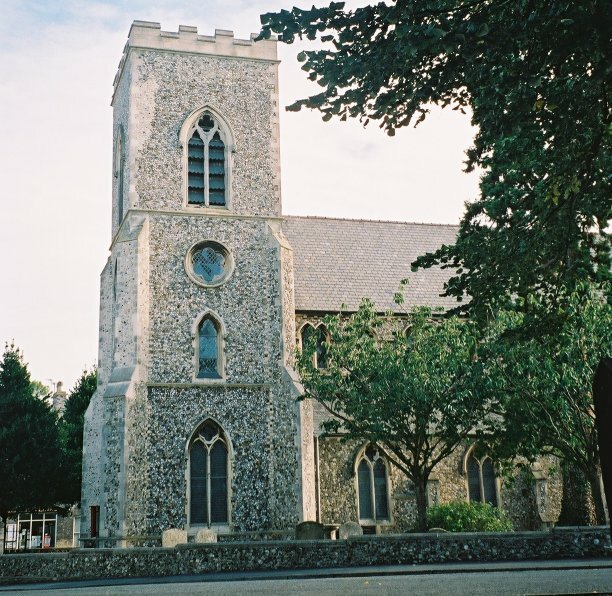 More than this, All Saints parish separated St Mary and Exning parishes from the rest of Suffolk  they were on an island surrounded by Cambridgeshire. 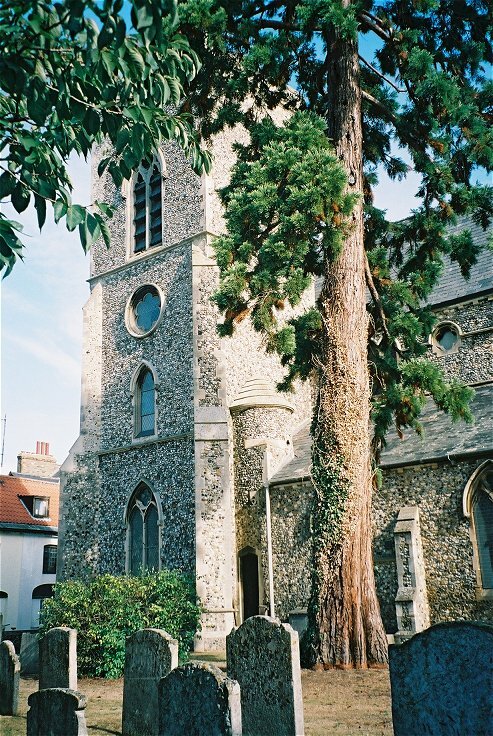 So, the 20th century saw a united Newmarket, All Saints serving the eastern part of the town. The area around it used to be quite run down, but I hadnt been here for about 20 years, and returned now to find it all poshed-up, full of tanning salons and sushi bars. 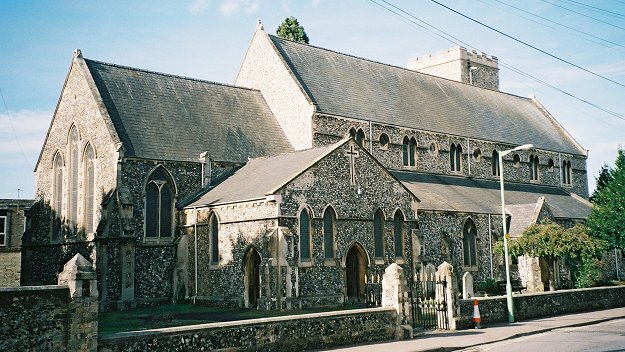 The church itself was designed in the 1870s by the Lowestoft architect WO Chambers. 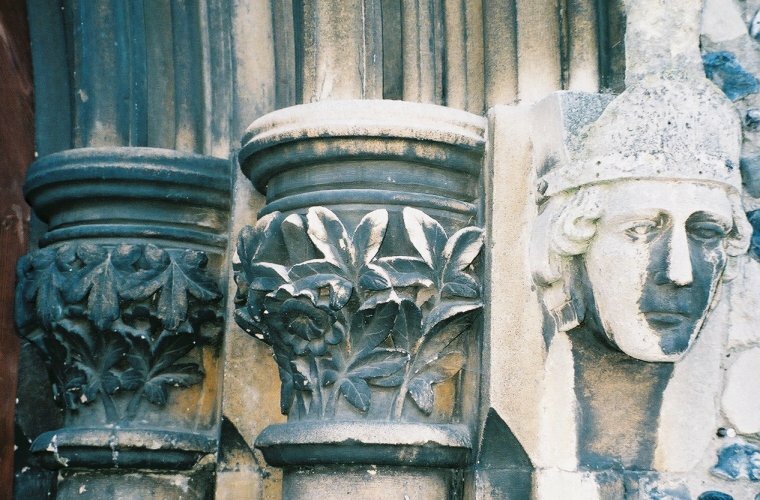 It was built on the site of an earlier church, and Mortlock says that part of the old tower was incorporated in the new, although this is hard to see from the outside. Mortlock, who is a sucker for anything Victorian, found it hard to find something nice to say about All Saints. He describes it as heavy and uninspired; I thought it was downright ugly. The view from the north-east in particular looks like a bus garage that someone kept adding to, a collection of spaces like a lot of people at a party not talking. 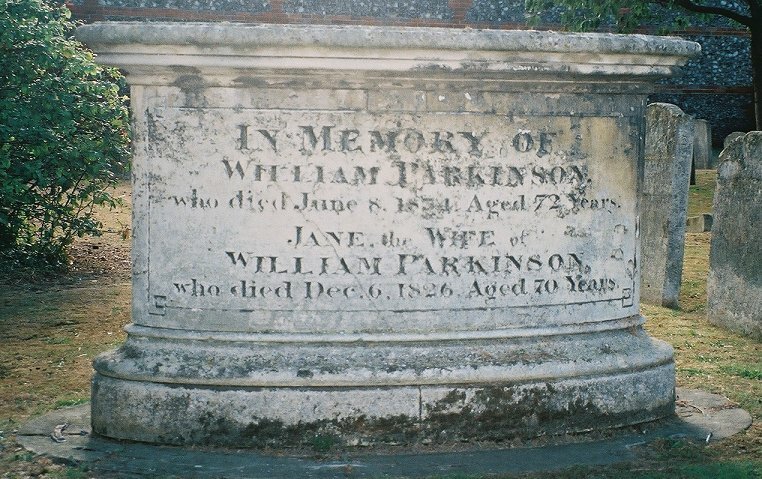 There is a small churchyard to the south west, and here I spotted two things of interest; a concrete mounting block set against a buttress (well, this is Newmarket), and the eliptical memorial tomb to William Parkinson, photographed left. I am sure that if I could have got inside the church I would have been much more endeared. But I couldnt. So Im not. Across the high street then, to St Mary. All Saints is to the east of Newmarket High Street. Locked, locked, locked. Postscript: three years after my abortive visit, I was contacted by Max Osborne, the Vicar of All Saints, who says: I am the Vicar of All Saints Church Newmarket. A parish church which is warm, friendly inviting and accessible to many users. We have a growing healthy congregation averaging between 90-100 people on Sunday Mornings. On Mondays very little happens as its my day off except for the Keep Fit Group in the evening. On Tuesday there is a mental health support group and in the evening another community group make full use of our facilities. On wednesday morning its Parent and Toddlers (Scallywags) On Thursday its open Coffee morning. On Friday its Mother and Babies (Jigsaw) and the Youth on Friday evening. On Saturday the Church is open from 10.30 for morning prayer followed by Worship team practices. Therefore your comments about the lack of access are quite remarkable and quite wrong. Since coming to Newmarket I have been quite overwhelmed by the high esteem and affection in which this community of faith is held. I'm sure its not your intention to abuse or offend these good Christian people by your remarks on your web page. Perhaps you could reconsider your comments in the light of what is true about this fine historic church.